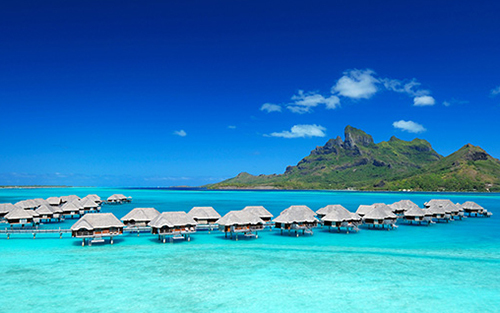 French Polynesia is a set of islands located in the South Pacific Ocean halfway between California and Australia. 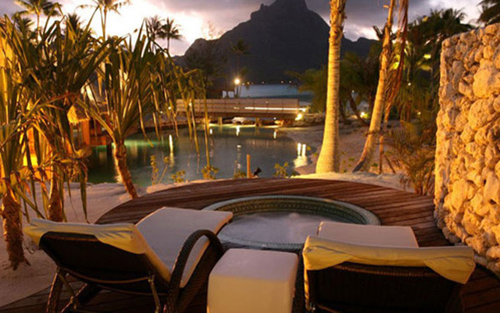 Popular luxury destinations in French Polynesia include some truly fabulous resorts. The Four Seasons Resort is simply AMAZING and one of my favorites on the island. At every turn, the attentive staff and resourceful Concierge are on hand to meet your needs. You will be spoiled by personalized service as the staff attend to all your needs. Le Taha’a Island Resort & Spa is a 5-star resort located on the secluded Motu Tautau islet. This luxury resort is inspired by traditional Polynesian architecture and hosts remarkable suites, villas, and gorgeous overwater bungalows. The InterContinental Bora Bora Resort & Thalasso Spa is set between the ‘two hearts’ of Motu Piti Aau, a coral island on the barrier reef. The award-winning Deep Ocean Spa is the centerpiece of this French Polynesian paradise. 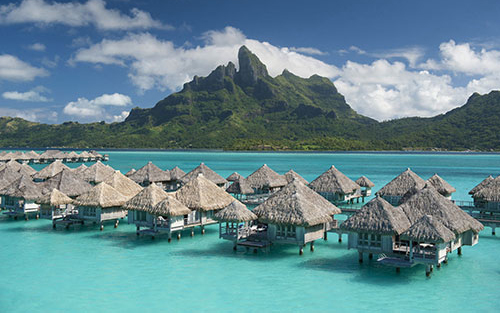 The over water villas at the St Regis are among the largest in French Polynesia, boasting over 1600 square feet. It was easy to run down to the sandy beach or simply drop into the water off the private terrace. I loved how the villas are close to all the resort’s main public areas, including the Club Lounge where I could stay in touch with family and friends using the complimentary WiFi. Ready to book a vacation to French Polynesia? 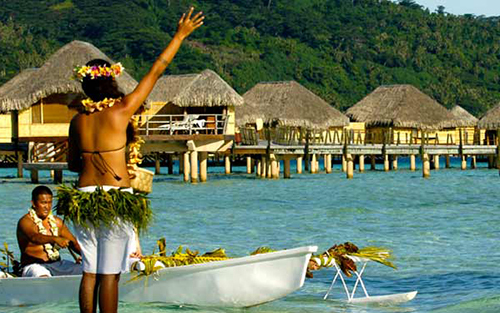 Be sure to give luxury travel advisor, Margi Arnold a call to discuss your luxury vacation to Tahiti or Bora Bora. With over 25-years’ experience in the travel industry Margi, is an expert that will help you personalize your trip and will ensure a worry-free vacation. Start by completing a vacation request or call Margi at 888-568-4432.